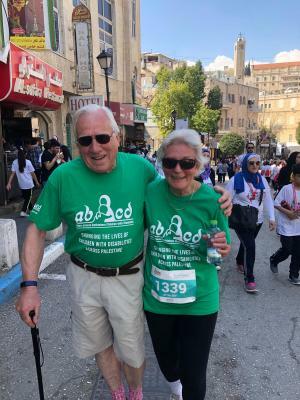 An intrepid group of 26 ABCD supporters had a fantastic trip to Palestine and have over £35,000 to date! Setting out for Palestine on the 20th March the group enjoyed a tour around Jerusalem, time spent in Bethlehem, visited the ABCD supported Jalazone Refugee Camp Rehabiltiation Centre, and opened the Sensory Garden at the Bethlehem Arab Society for Rehabilitation in memory of Georgina Mortimer, more of which can be read about here. 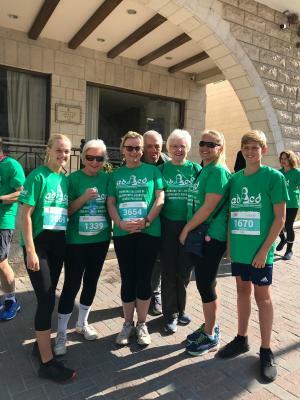 On the 22nd, 23 brave members of the group ran and walked in the Palestine Marathon. We had participants in the 5km, the 10km, and the half marathon, and everybody finished! It was an amazing atmosphere with the Manger Square jam packed with eager runners from all around the world. To date we have raised just over £35,000. 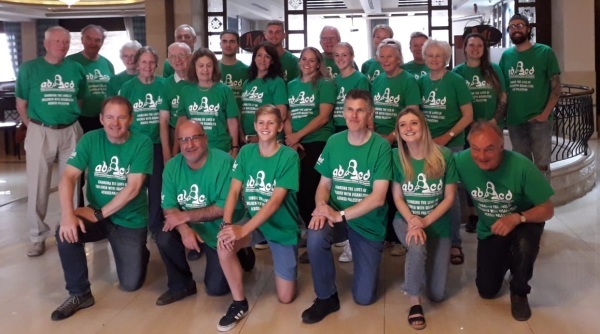 If you have already sponsored the team, thank you so, so much. If you haven't had the chance yet, please do so through the link below. Thank you! If you would be interested in joining the 2021 team, please do let us know by emailing info@abcdbethlehem.org and when we have the details we will be in touch.